The change from the egg to a full grown adult Butterfly shows us that it is possible to transform and survive. We take lessons from Nature and have put together some useful tips for Accountants. 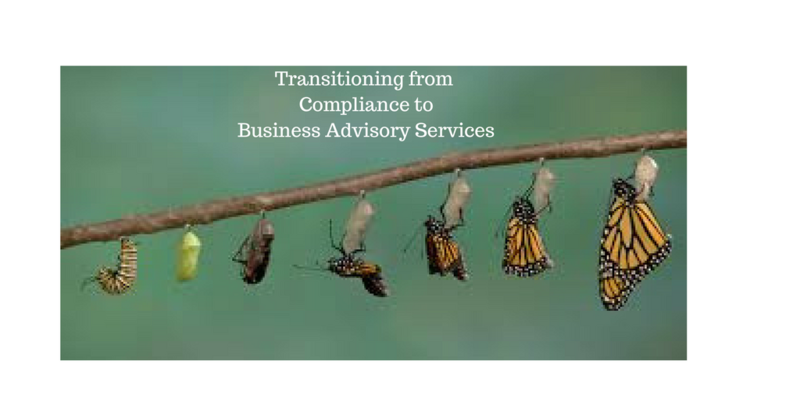 This e-booklet will help you transform your practice, to include that of the increasingly profitable Business Advisory Services. If you are looking for a few tips, this e-booklet is just for you ! Access to Resources to help you with the transition. Like a Supermarket, there are a variety of products on the shelf. We also have customers of different varieties. It is important for them to feel that when you are interacting with them, that they are the 'only person in the room' at that time. The worst thing we can do is to talk over our clients. Yes what we may have to say is valid, however, sometimes our clients do have vital things to say that is important to them. We need to hear these and let them know that we have taken their concerns into account and demonstrate to them how our proposition does that. Simple statement yes. However, don't be amazed how many Accountants simply offer their clients what they are good at! Sometimes, this isn't what they need. So Listen, Understand and Tailor your requirements accordingly.